Dubai: If you think reading is passé among children in the UAE, think again. 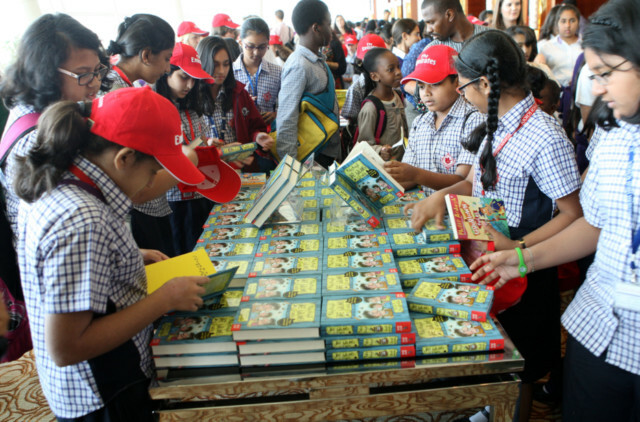 On Wednesday all roads from schools across Dubai seemed to lead to only one place — the InterContinental Hotel as the Emirates Airline Festival of Literature entered its second day. By 9.30am, the venue was a virtual sea of students. 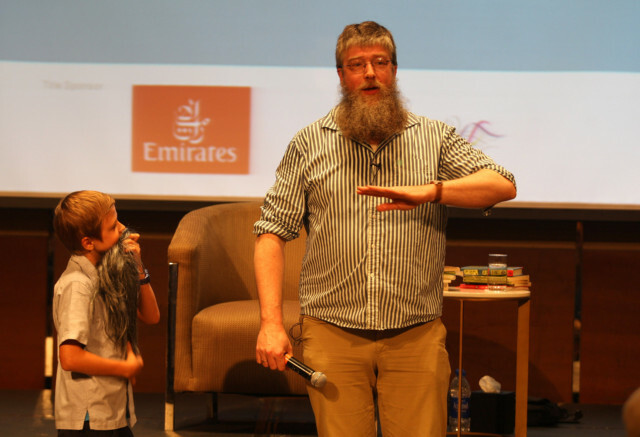 Philip Ardagh with his trademark beard and antics had the little ones rolling in laughter in one of the halls while older students were busy browsing books on offer outside. In another hall, the process of choosing the Chevron’s Reader’s Cup winners was well underway, with the awards scheduled to be announced on Saturday. “I find this festival so rewarding,” said Olivia Mitchell, a Year 8 student of Repton International. Her English language teacher Sahar Roeske couldn’t agree more. “We think it is a great opportunity for students to engage, explore and learn,” she said. His teacher Clare Boyes, who had come along with 22 students, said it’s all about greater exposure and expansion of knowledge. Isobel F. Abulhoul, Festival Director, said 12,000 students were expected on the two Education Days (English and Arabic) on March 6 and 7. Over 50 authors were also available for discussion and interaction at the venue and various schools. “It’s an incredibly diverse, exciting and enriching experience for everyone. And it’s not just the children. Authors too love it and learn from it,” said Isobel. Nothing could reflect this level of engagement better than Ardagh’s session with young readers. Whether it was him talking about his mother’s letters being “the most boring in the world” or his bizarre “piece of writing advice”, he kept the kids in splits. “He is so so funny,” gushed Grace Orlameath from Ajman Academy.